Approved Drugs assembles into one place a large selection of the chemicals approved for use by the FDA. Users can browse through drugs and probes, or utilize the search feature to find a particular chemical. 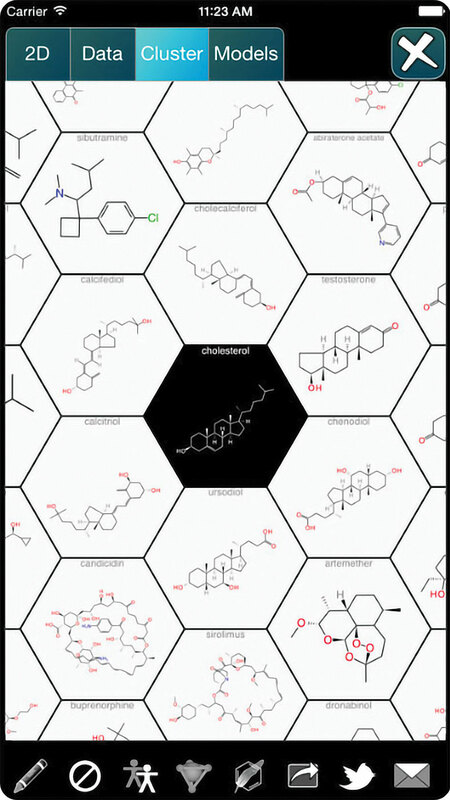 For each chemical, both the 2D and 3D structures are provided for a more in-depth look at its composition. Additional information is provided for each chemical, including its known targets in the body, its molecular weight, and its ChemSpider ID number. Users can also cluster chemicals to see which ones are most closely related to each other. Once users have chosen a chemical of interest, they can copy or share the structure. The Approved Drugs app is a useful tool for those involved in drug discovery and compiles commonly used drugs and their structures into one place.